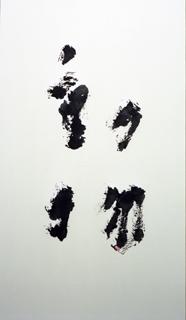 This exhibition is on the occasion of the publishing "Kasetsu", between books Vol.4 which Takashi Homma established. Kasetsu is a calligraphy artist. She makes an installation by her calligraphies.